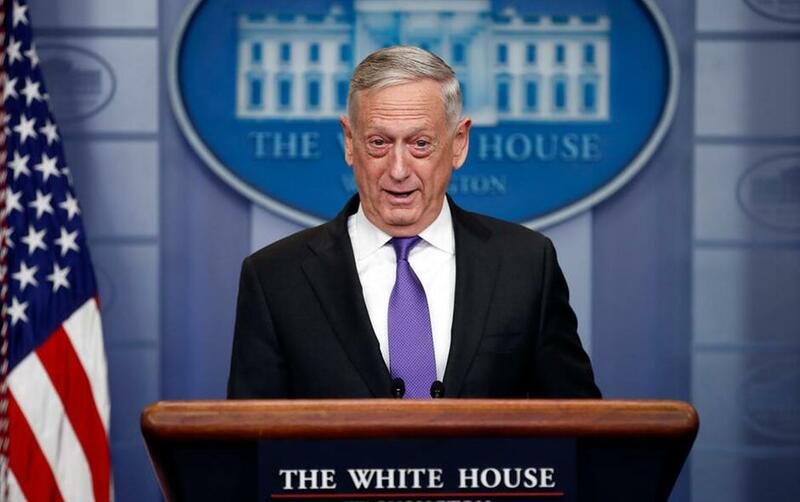 Defense Secretary Jim Mattis speaks during the daily news briefing at the White House, in Washington. Mattis says he confirmed that the nearly 850 immigrants currently serving in the military or waiting to start training won’t face deportation despite the ongoing federal wrangling over the fate of people who came to America illegally as children. 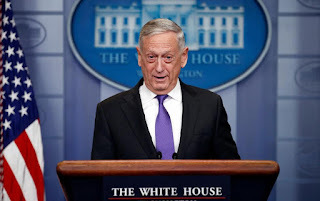 WASHINGTON (AP) — The nearly 850 immigrants currently serving in the military or waiting to start basic training won't face deportation despite the ongoing federal wrangling over the fate of people who came to America illegally as children, Defense Secretary Jim Mattis said. Previously, U.S. officials have said the military members' DACA status wasn't clear. But on Thursday Mattis said flatly it's not a problem. "They will not be subject to any kind of deportation," he told reporters. "In terms of the DACA situation ... it's clarified they are not in any kind of jeopardy." Mattis added that Homeland Security has been always willing to work with the Pentagon on DACA issues, and he said, "we would always stand by one of our people." All of those DACA service members came in under a small, special recruiting program called Military Accessions Vital to the National Interest, that seeks people with particularly critical skills. Many of them are fluent in key languages, including various Afghan and Iraqi dialects or perhaps Russian or Chinese. Last September, the administration said people whose DACA status expired before March 5 could apply for renewal, which essentially gave Congress six months to come up with a legislative fix. A federal court ruling, meanwhile, blocked Trump's move, prompting the U.S. Citizenship and Immigration Services to say it was once again accepting and processing DACA renewals. That case leaves open the question as to whether someone could enlist in the military and then seek protection from any subsequent deportation move. Congress continues to struggle to find a legislative solution. House Minority Leader Nancy Pelosi staged a record-breaking, eight-hour speech in hopes of pressuring Republicans to allow a vote on protecting the hundreds of thousands of so-called "Dreamer" immigrants.